Target is my best friend for beauty products and especially nail polish. 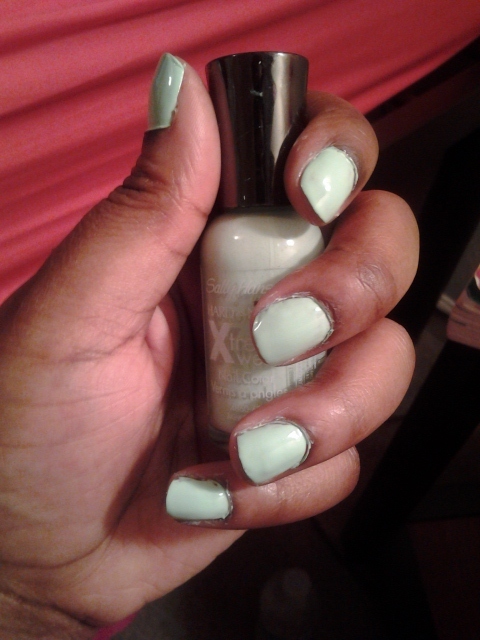 This beauty Mint color by Sally Hansen was on $2.00! I am a big fan of nail lacquers and I do not discriminate with prices. A great color and it is nice with coating. So for of my Glam Bombshells this is a must have color... check it out!